Any organization is only as strong as its members. 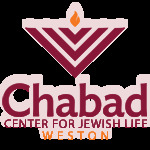 Chabad of Weston has earned a reputation in the community as a shul where every Jew, regardless of their affiliation or religious background is welcome. While we have a strong base, it is time to broaden our community and make our synagogue even better. We are excited about the programming that begins in only a matter of weeks. Two weeks prior to the New Year, on Monday September 7, at 4:00 p.m., Chabad will be hosting a Welcome Back Bar-b-que. We ask that you and your family join us for this celebration and we encourage you to bring a friend, neighbor, family member or co-worker to introduce them to our community. Please note that vegetarians are welcome and delicious food will be available to all. At the bar-b-que, the children will also be treated to a “Shofar Factory” where they will each participate in making their own shofar. To get us in the right framework for the holidays, Chabad is also proud that Rabbi Chaim Drizin will be joining us at the synagogue for a Malava Malka, on September 12 at 10:00 p.m. His topic appropriate for the evening will be “Turning the High Holidays Into A Life-Changing Experience.” Selichot services will follow the Malava Malka. For the bar-b-que and the Malava Malka, we ask that you RSVP with the synagogue office at 954-349-6565 by Friday, September 4th so we can prepare for these wonderful events. We look forward to seeing you there.